This post is purely on gift ideas for him(A male companion). Every year around this time and on his birthday, I always buy my significant other things that I think he needs or likes. I have bought ties beautiful and manly ones if I have to say so, shoes, watches, shirts and gadgets from high end brands to ordinary brands; and believe you me that has never really worked in my favour. He will wear or use those things once and then they are forgotten or lost. This year I want to do things differently. I want to get him the things that he gravitates towards and I know he will get the most use out off. 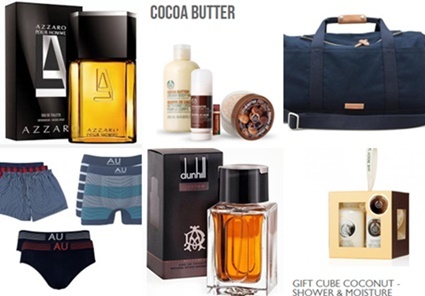 I have never gone wrong with Colognes, Books, Underwear, Duffle/Weekend bags and Golf-Shirts. Instead of me wasting my hard earned cash on things he will never use, I am getting him the things he will appreciate and actually put to good use. Fortunately for me, I know he does not play around on my blog hence I can write about potential gifts for Valentine's Day 2016. You can never go wrong with underwear. It is a must for most of us but it has to be the correct size and comfortable. Luckily there is a few styles when it comes to men's underwears. You know that if he does not prefer Briefs, Trunks or Boxers, then it is either a G-Strings or Tangas. As opposed to women's underwear which you can shop around for hours and still not get it right. We wear what we like based on a day and time or even an outfit and the decision will also be driven by our moods which can change in a sec. Anyway you know what your partner likes or what you would like them to experiment with and just work with that. We are constantly on the road on weekends and sometimes for him he has a 1 day business meeting in Cape Town and he does not need a suitcase/stroller bag for that. 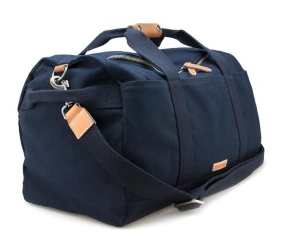 A cute weekend bag of which there is plenty of styles and fabrics to choose from can work just as fine. 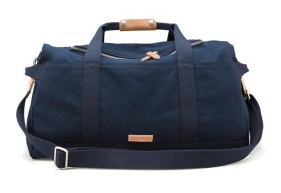 Hence for our mini weekend aways, I am loving this Trenery Navy Blue and Brown bag. It goes with everything he has as he is more of a golf-shirt, shorts or jeans kind of a guy. I know he will love it because the colours will definitely compliment my weekend bags. You can never go wrong with the range from the Body Shop. Personally I love anything that smells like coconut or cocoa on me or anyone. They make your skin so soft and well nourished. The Body Shop has pre-packaged gift packs which you can cop up and save a few bucks which you can use on gifts for yourself.